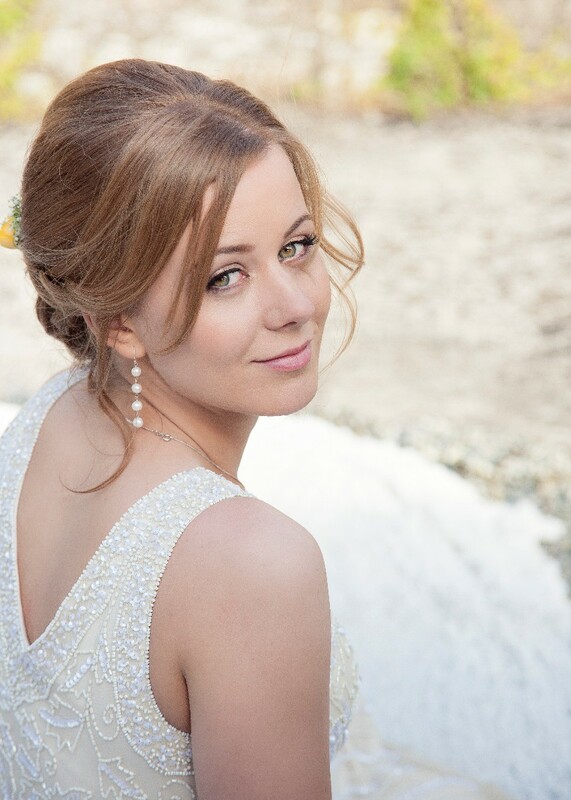 Hi, I'm Anne Mare and I'm a freelance bridal Makeup Artist. On the morning of your wedding I'll travel to you whether it be to your home or your venue so that you can enjoy and relax in the pampering of your wedding morning. I've been lucky enough to enjoy over 15 years of getting brides ready for their big day and feel so privileged to be part of that special morning. My aim is to have you looking your absolute best but I like brides to still feel and look like themselves only a better version as the saying goes! My kit includes high end product that I know and trust and to have your make up last until the early hours. Check out my make-up looks here or my website for more info. Anne Marie was a pleasure to deal with. From initial contact to trial and then the big day it was just perfect. The make up itself was flawless and lasted all day without a single touch up. Anne Marie is so talented and tailored everyone's makeup to suit all ages and needs. She uses the best of products and is very reasonably priced. Would highly recommend Anne Marie for any makeup needs. 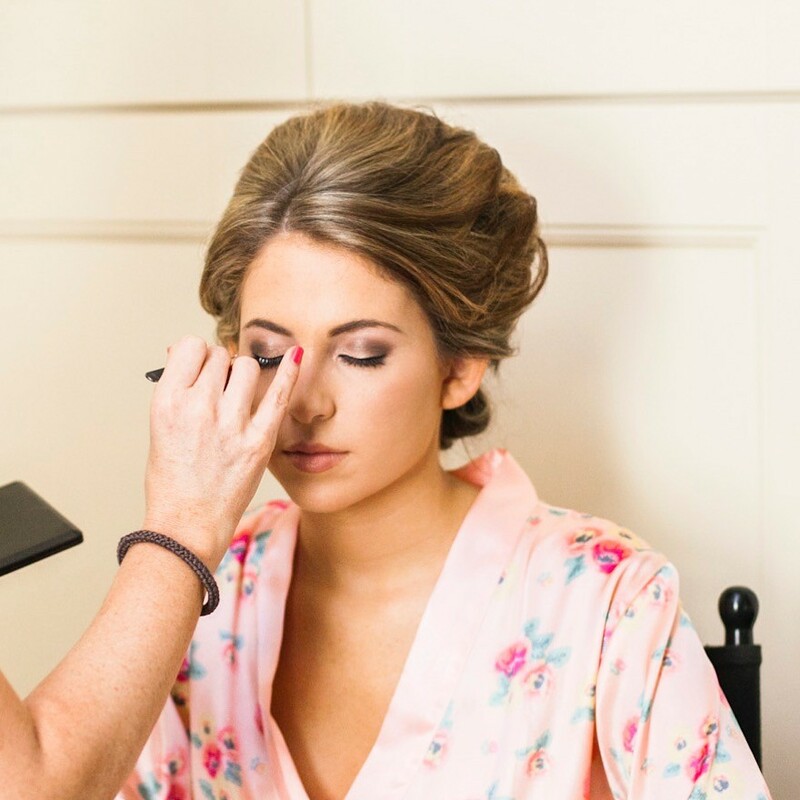 Anne Marie did make-up for myself, bridesmaids and my mum for my wedding and I can't recommend her highly enough! Anne Marie made fantastic suggestions during my trial, including recommending lashes which I'd never worn before, but they worked so well and lasted the whole day. I went for a red lippie which also lasted the whole day - I didn't need to top it up at all, even after dinner! I was a little nervous on the morning of the wedding but Anne Marie made me feel so calm and relaxed. Anne Marie is amazing at her job and if you're looking for a make up artist, then just book her. You will not regret it! Thank you Anne Marie! 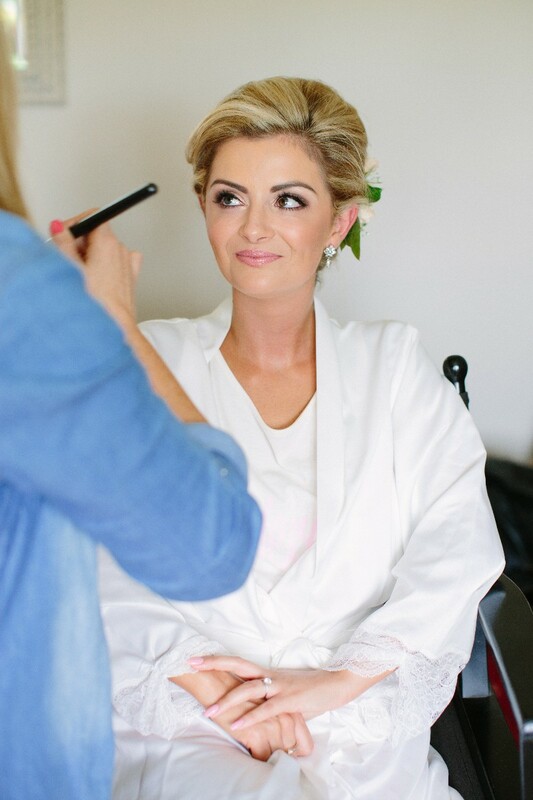 The amazing Anne Marie done makeup for my wedding 2 weeks ago! She is fantastic at what she does, a complete perfectionist and such a lovely person! Your wedding morning will be so relaxed and enjoyable with this pro! No words can express how thankful I was to have hired Annemarie. I actually change the date of my wedding by a day when I realised she was booked for my original date. I had heard about and seen her work and knew she was the one for me. 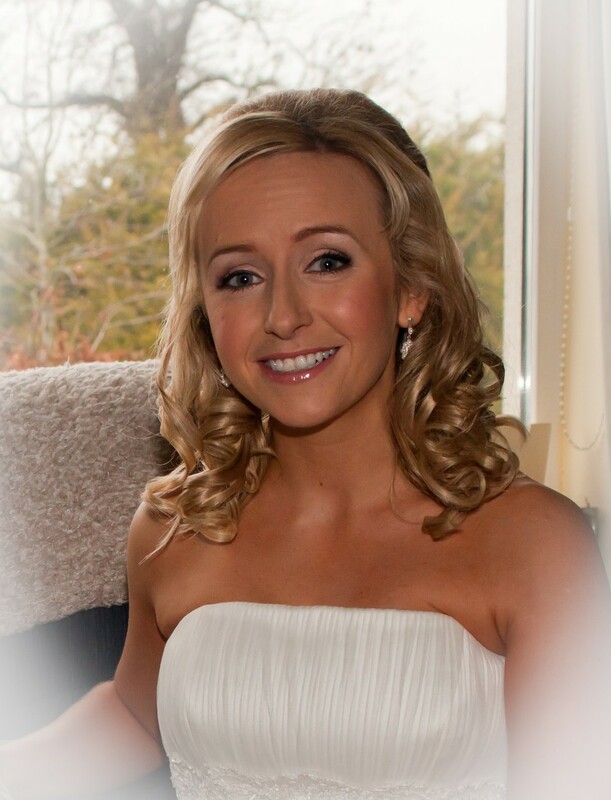 Annemarie is patient and sweet and great Craic to have the morning of your wedding to keep you sane and relaxed. I told her at my trial to work away and see do what she thought was best. The result was exactly what I wanted. I don't wear make up much and she made me look like me (but a better version ;) it was natural and fresh and I loved it. Not to mention how my bridesmaids turned out. Annemarie. Thank you so so much for all you did Much love. I can't recommend Anne Marie highly enough! She is outstanding on every level. 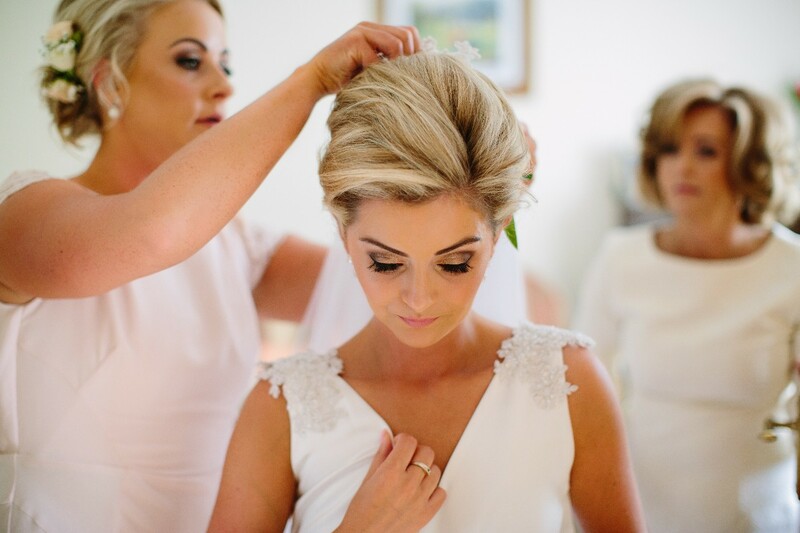 Anne Marie looked after myself, three bridesmaids and my mother who would all have very different makeup styles and yet every single one of us looked flawless and most importantly felt beautiful and truly looked our best. Anne Marie really listens to what look you have in mind and delivers exactly what you ask for with unquestionable skill and precision. To be able to look after such a varied group and have everyone over the moon is not an easy ask and Anne Marie does all of this effortlessly. Not to mention that she is such a calming, warm and wonderful presence to have around. Between her talent and personable demeanor I really couldn't have hoped for more, it was one of the most enjoyable mornings of my life and Anne Marie played a huge part in making it that. She is fabulous in every way and I would not hesitate for a second in recommending her for your big day - I've never felt more beautiful. Anne Marie really captured what I was looking for and from our first dealing right through to my wedding day I knew I was in safe hands. Anne Marie did the make up for me, my bridesmaid, my mum, aunt and friend. 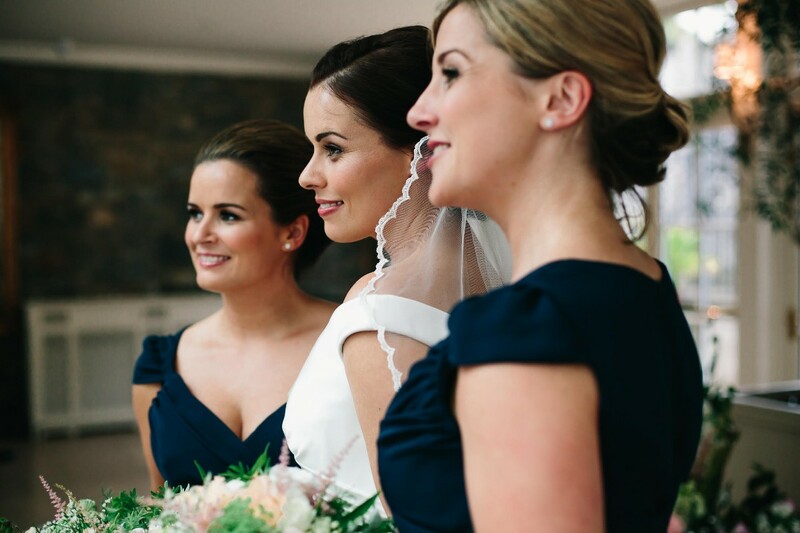 All of us wear very different make up but Anne Marie listened to us all and everyone was delighted with the results. I personally was anxious to ensure I didn't look caked in make up and that it looked quite natural as I don't wear much make up generally and I got what I hoped for! Anne Marie was a pleasure to work with and was calm, professional and friendly on the morning putting us all at ease! 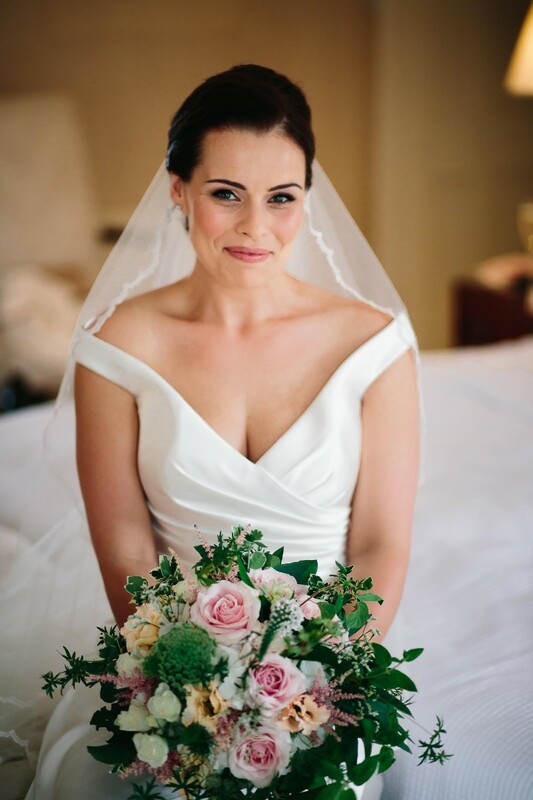 Would definitely recommend Anne Marie to brides to be! From the minute I met Anne Marie she made me feel completely at ease, as a person who rarely wears makeup, I felt a little out of my depth, but Anne Marie was wonderful, my trial was great, but on the day itself when she came to my home, what she did was nothing short of a miracle, I looked flawless, and felt beautiful and I stayed like that all day, my 2 bridesmaids also looked wonderful. Thank you for everything and I cannot recommend you enough. I would highly recommend Anne Marie. Her work is excellent. 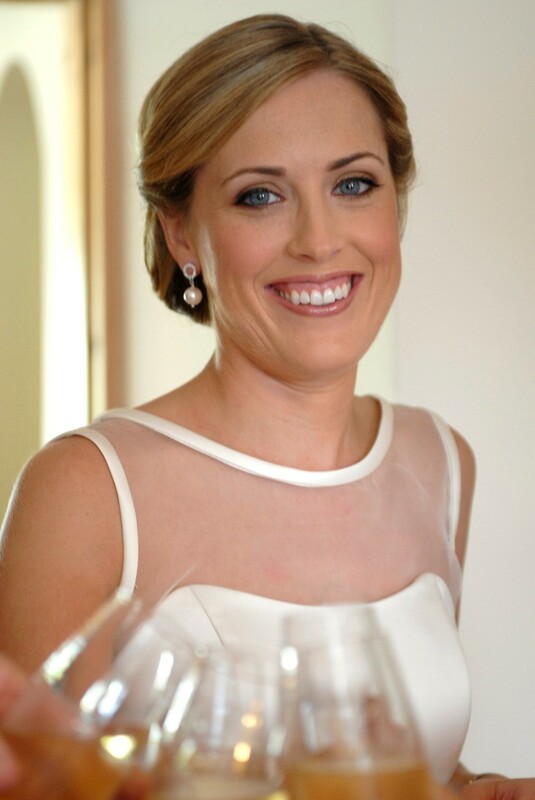 I was delighted with the look she created for my wedding day as were my bridal party with theirs. Anne Marie is friendly, professional and very easy to work with which made for a relaxed morning of preparations. Thank you Anne Marie. Anne Marie is a fantastic make up artist. I was so happy with how my make up turned out on the day of my wedding. Was exactly what I wanted. So natural. She stays with you until you leave the house and is so relaxed about the whole thing. Couldn't recommend her enough. AnneMarie was just as amazing from the first day I contacted her start to the last second before I left the house for the church! Her professionalism and talent it next to none! Both mothers and the bridal party were all delighted with their looks as was I the bride I honestly just loved the look and it really was just perfect! Annemarie is nothing short of superb. Her personality, her skill and whole demeanor made everything so easy for me. She was highly recommended by a friend of mine and got in touch straight away. She responded to all of my enquiries in a timely manner and was always so helpful. My trial was fun and she gave me lots of time to discuss different options. 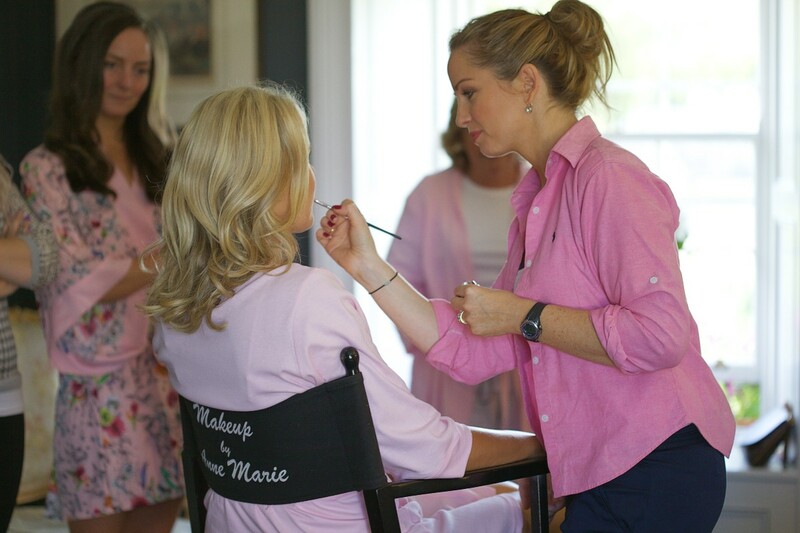 On the morning of the wedding, Annemarie helped create a calm and fun environment, and we all loved her! All of our make up was stunning and stayed in place the whole day and looks fab in all the photos. 100% recommend the lovely Annemarie! I could not say enough good things about Anne-Marie. She was punctual, relaxed, accommodating and great company on the morning of my wedding. Her make up style is very natural and photographs very well. She wasn’t even fazed when we had an unexpected guest in the house on the morning who wanted her make up done too; this was no problem with Anne-Marie at all. I would definitely highly recommend Anne-Marie to anyone. 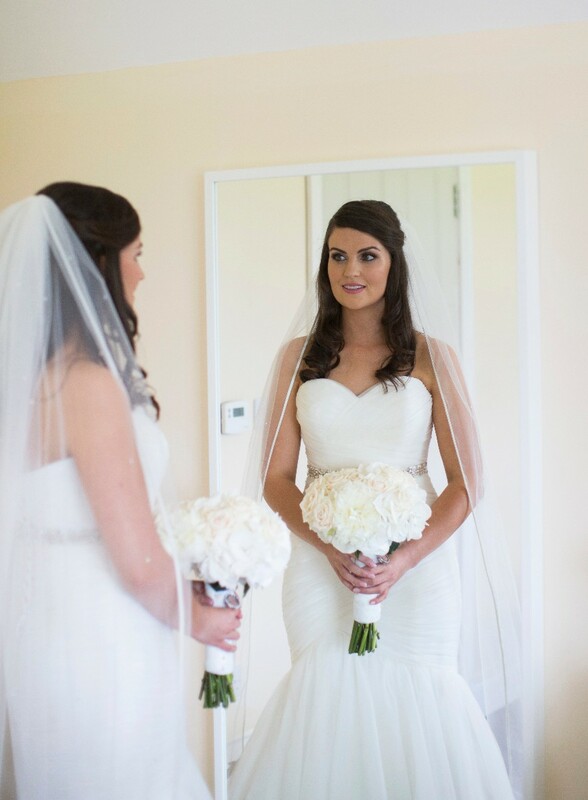 I was so delighted to have Anne Marie as my make-up artist for my wedding in August. We arranged the make-up trial weeks in advance and as soon as I had it, I knew I would be delighted with my make up on the day. On the wedding day, Anne Marie arrived early in the morning and was so lovely to have in the house that morning and helped keep everything relaxed. There was no rushing and she made sure everyone was topped up before she left. 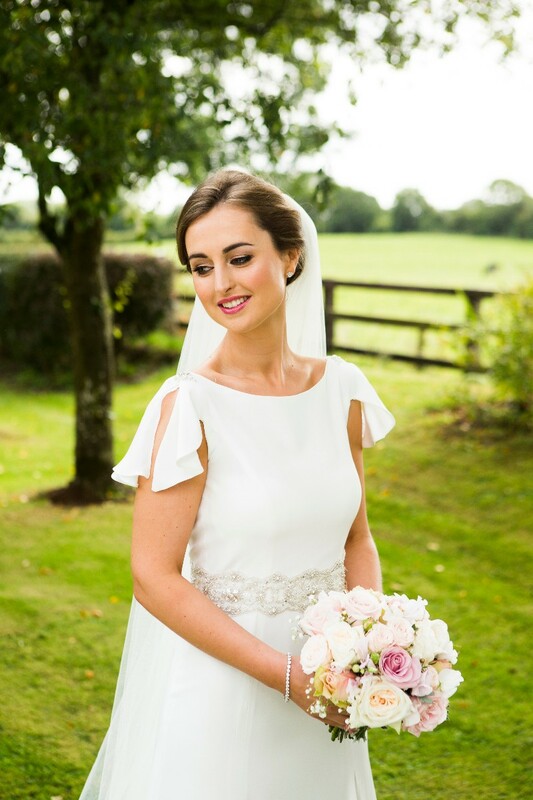 Prior to the wedding day Ann Marie sent through a product list from the trial so I was able to buy the make-up I wanted so that I could use it to top up during the day. I can honestly say that everyone was delighted with their make-up and it lasted so well all day.. I would 100% recommend Ann Marie to anyone and can't thank her enough! Anne-Marie is the best make up artist that you could ever come across, she is amazing at what she does. My make up and the bridesmaid's make up was just brilliant. I did not have to touch up once throughout the whole day, having make up that lasts is so important on your wedding day and Anne Marie is the best in the business. Her make up application does exactly that- doesn't move for the day! I couldn't recommend her highly enough, she's just amazing! Anne Marie made our day so enjoyable and relaxed. After my trial I knew we had nothing to worry about. Anne Marie came out to my home and was surrounded by children for a while but wasn't at all bothered! There were 5 people for make up and we were all finished with plenty of time to spare, Anne Marie even sat my niece in the chair and made her feel so much part of it. Anne Marie went above and beyond to help during preparations and helped make the whole morning run smoothly. I would highly recommend Anne Marie to everyone and I will be looking for any excuse to visit her again. I can't thank Anne Marie enough for everything. From the first email of enquiry I sent to Anne Marie to the day of the wedding, sh always so lovely and friendly. I always got a reply email promptly too. Anne Marie is so approachable, I text a few times for opinions on lipsticks for me, my mum and bridesmaids & always got a helpful reply. My mum and I got trials done- which were great- we could go out then and buy the make up and have it to top up on the day. The morning of the wedding Anne Marie arrived & was such good fun. Totally made us all feel at ease. Each of us LOVED our makeups. I never had to touch up my makeup ( only my lipstick) all day. I would highly recommend Anne Marie, she puts in so much to each person & does an amazing jobs. Her makeups are flawless!! 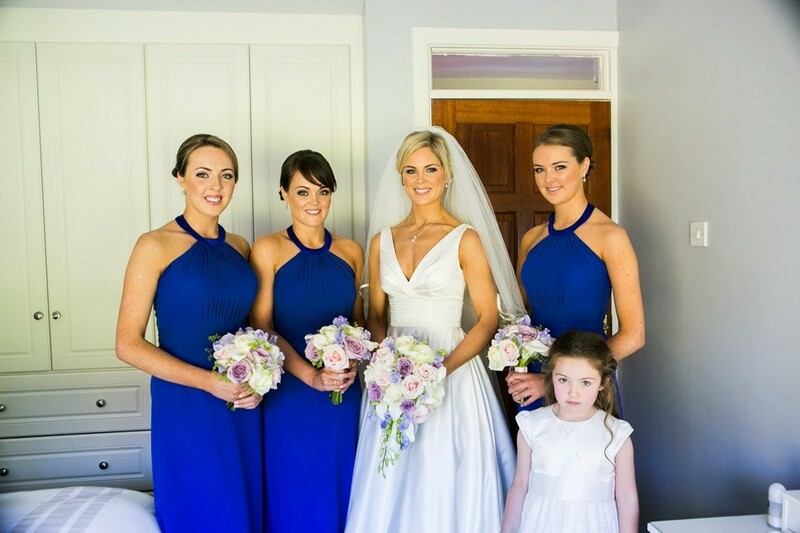 I can not thank Anne Marie enough for her great work the day of my wedding, she made myself and my bridal party look amazing, our make up was flawless .she is such friendly person. Would recommend her 100%. Anne Marie was AMAZING! As someone who has never gotten her make-up done and never wears make-up, Anne Marie did such an amazing job on my make-up, making it look super natural and feel light and comfortable. Not only was I incredibly happy with it but so was my husband, who doesn't like when I wear make-up generally. Not only was Anne Marie's make-up work a masterpiece, she was delightful to work with, kind and flexible. 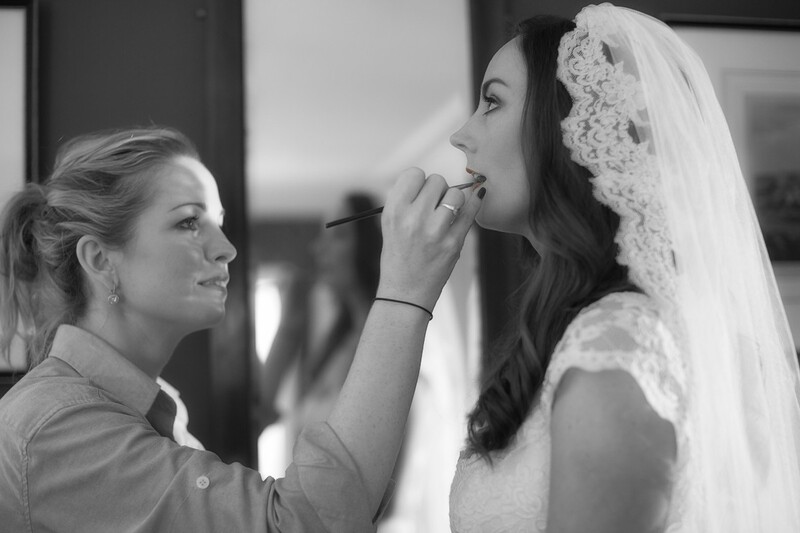 I could not have asked for a more perfect make-up artist to be around on the day of my wedding. She brought such a loving and relaxing aura that it just put me at ease. 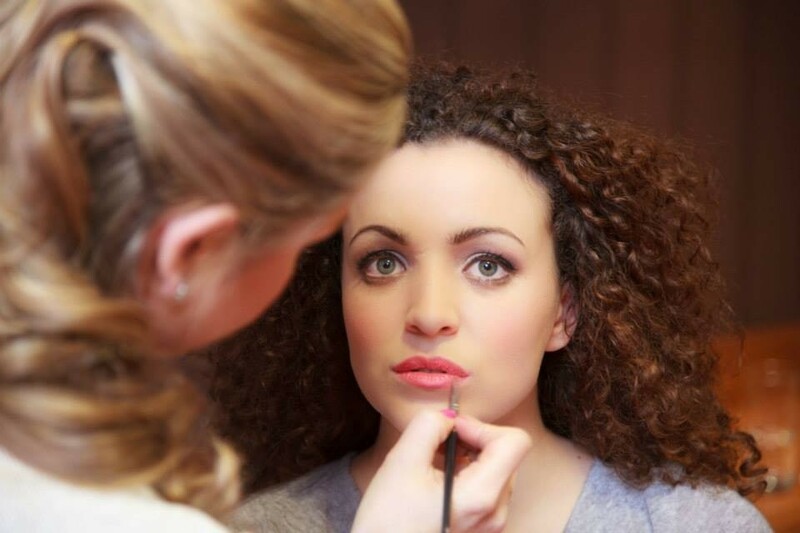 If you're looking for a make-up artist, Anne Marie is the one! She's Sensational! Anne Marie was just lovely from my first contact with her. Very at ease and professional with all dealings and outstanding on the day. 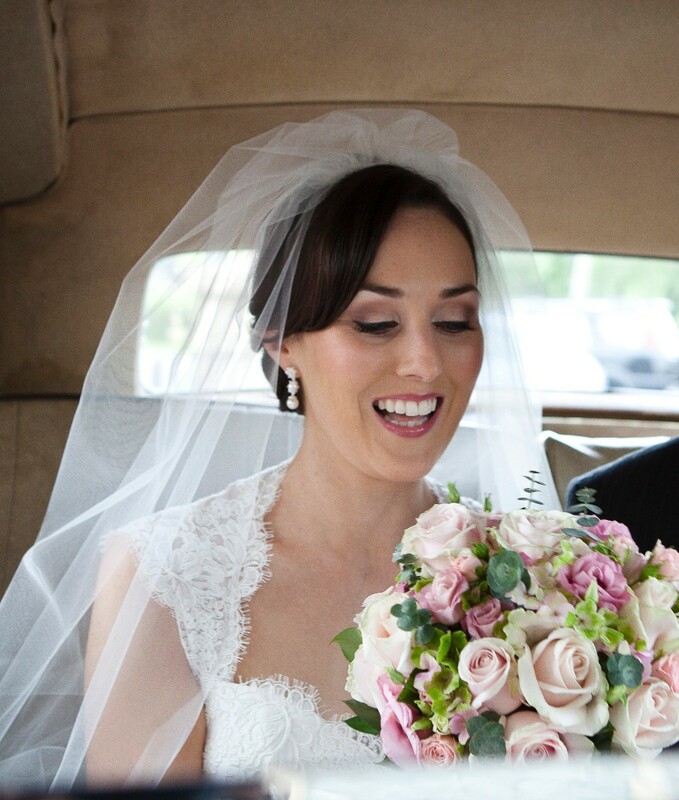 The morning of our wedding was just lovely, very relaxed and Anne Marie was very organised and nothing was rushed. There were seven of us and everyone loved their makeup. Very natural and perfect to everyone's taste. Super quality makeup was used with very little reapplying for the entire day. I couldn't recommend Anne Marie enough. Anne Marie done the make up for my wedding. Myself, my mother and my two bridesmaids were so thrilled with it. She done an amazing job and the make up pictured so well in all our photos. So many people commented on how beautiful it was. Anne Marie is such a lovely person and helped make the morning so relaxing. I couldn't recommend her enough. 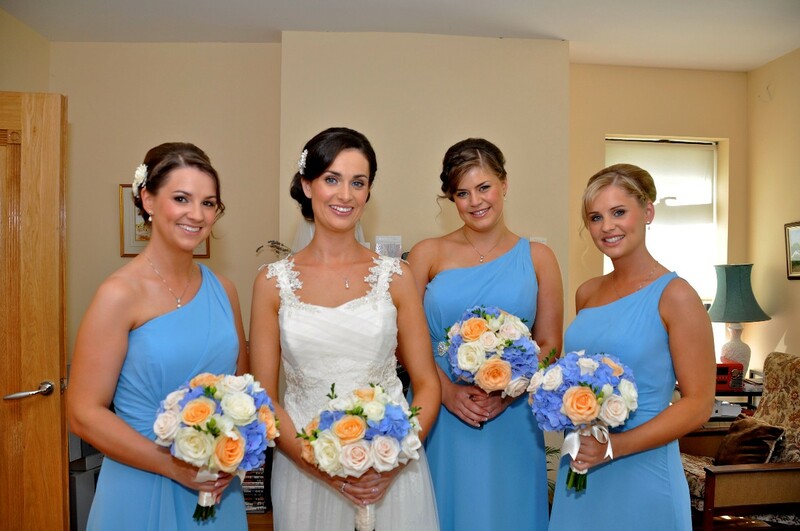 Anne Marie quickly got through my, my five bridesmaids and my mothers make up on the day! She helped keep my morning stress free and I absolutely loved the look! My make up stayed in place all day and the tips she gave me for topping it up were brilliant. My bridesmaids look absolutely stunning and also loved their looks! Would thoroughly recommend Anne Marie to anyone! I would love to do it all again!! From the minute I got in touch with Anne Marie she was amazing, she responded to my emails promptly and was so helpful with arranging my trial. She listened to everything I wanted and gave me great suggestions and tips. My makeup was flawless exactly what I wanted & more importantly lasted the whole day as did my Mum's and bridesmaid. On the morning of the wedding I was so happy to have her there she was brilliant with everyone and kept me relaxed which wasn't easy!!! I would have no hesitation in recommending her. Ann Marie done an absolutely amazing job for my wedding. She done exactly what I asked and had me feeling and looking fantastic. 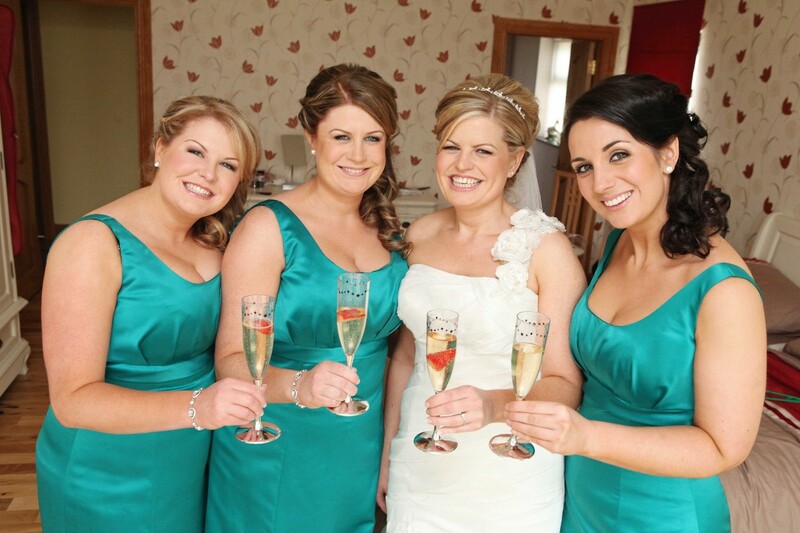 My bridesmaids and mam also looked flawless, Ann Marie had every brand of make up that suited both young and older skin! I would 100% recommend Ann Marie for any wedding/event or occasion. 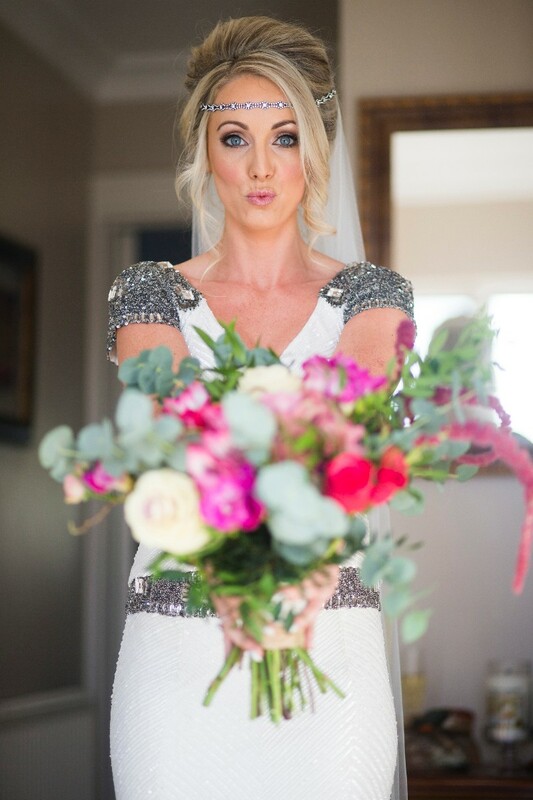 I came to Anne Marie 2 weeks before my wedding and she handled a last-minute bride like a true professional. When I went to my trial, I was very anxious but she was very reassuring and really calmed me down. We talked about the look that I want to go for and what I love about Anne Marie is that she recommends what is the best look for you - from your skin type, to your face shape etc. She was honest if she thinks a certain colour will not work for you. I went for a bronzed look which Anne Marie did perfectly! She also did my maid of honor's makeup and she looked absolutely stunning. If I can have Anne Marie to do my makeup everyday, I would! This is how I highly recommend her. Anne Marie, thank you so much for being a part of my glam team! You are an absolute dream to work with and you made me so beautiful on the biggest day of my life! I wish you live closer so I can stop by more often for events! But I hope we'll work again soon. There are not enough stars in this review for Anne Marie!!! First and foremost she is a total lady, patient, gentle and a lovely calming influence on a hectic day! I want her to do my make up everyday! 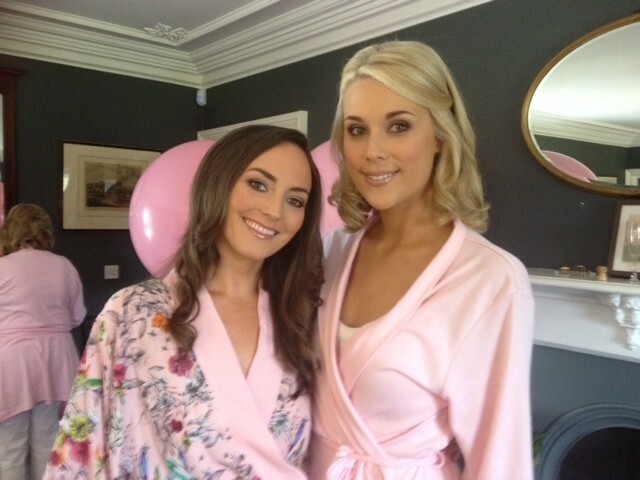 Anne Marie had the task of doing my makeup for my wedding and my 5 bridesmaids! Every one of us looked amazing!!! All of the girls were delighted with their individual look.The makeup lasted all day and long into the night and looks stunning in our photos. Anne Marie did my sisters makeup for her wedding before me and we would both highly recommend her! Thank you so much! 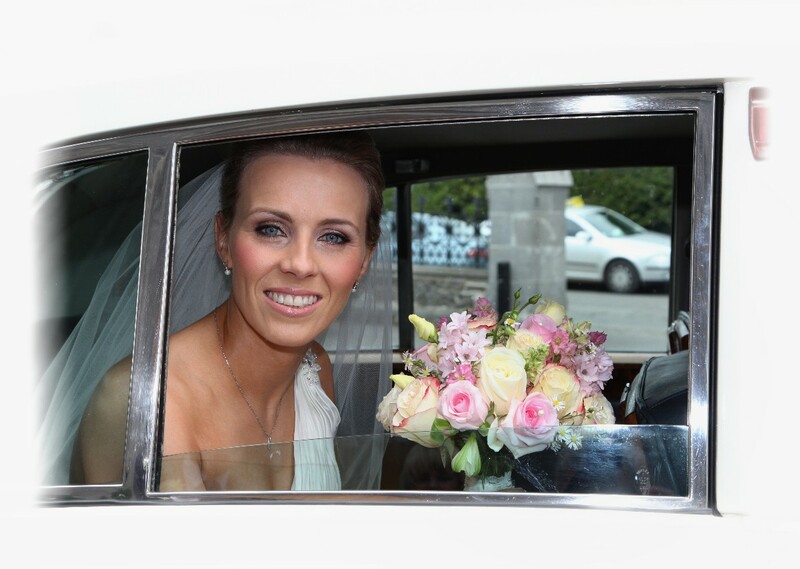 I was delighted with Anne Marie and would recommend her for any brides. She was so helpful and relaxed on the day - she calmed me down! I got so many compliments about my make up and my 2 bridesmaids were also delighted (and they both work/worked in the beauty industry!). Anne Marie was fantastic. From the moment she arrived at the house, she was so happy and relaxed that she really helped put everyone at ease. She was very professional and everyone was happy with their makeup all day. Even when it all became a bit too much for me and I started getting light headed, she calmed me down and helped me see the wood for the trees (and found me a can of coke before I fainted). Thank you so much, Anne Marie! You played such a big part in making our day feel special right from the start. Anne Marie is an amazing makeup artist. From meeting her first for my makeup trial she was very welcoming, professional and knowledgeable on what would work for my skin tone. 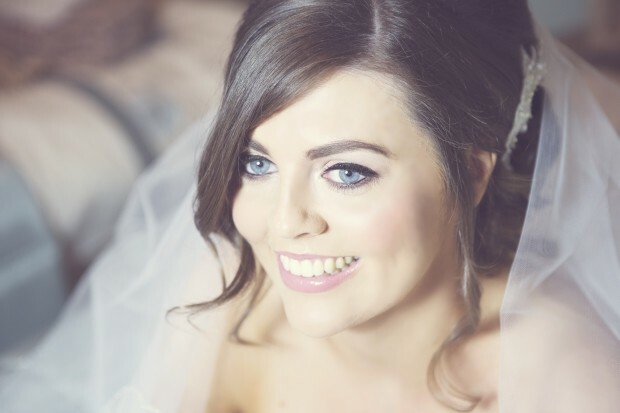 I was so impressed with my trial that I knew my wedding day makeup was going to be just perfect.Anne Marie didn't disappoint she made all the bridal party look stunning and it was lovely to have her calmness there the morning of my wedding. 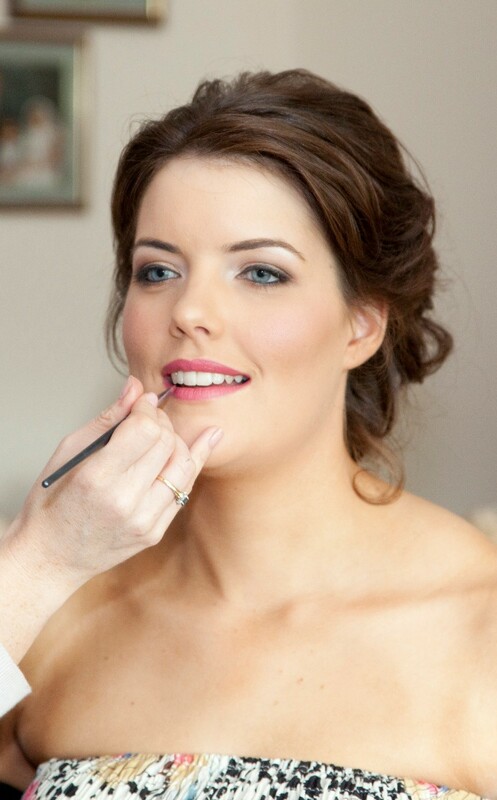 I can highly recommend Anne Marie , she is an exceptional makeup artist and really lovely person. Anne Marie is an amazing make up artist. She will without a doubt have you looking your best on your special day! Anne Marie is amazing! I live in Australia and because of travel constraints, I could only meet her a year before my wedding; but I didn't hesitate booking her in then after my trial. 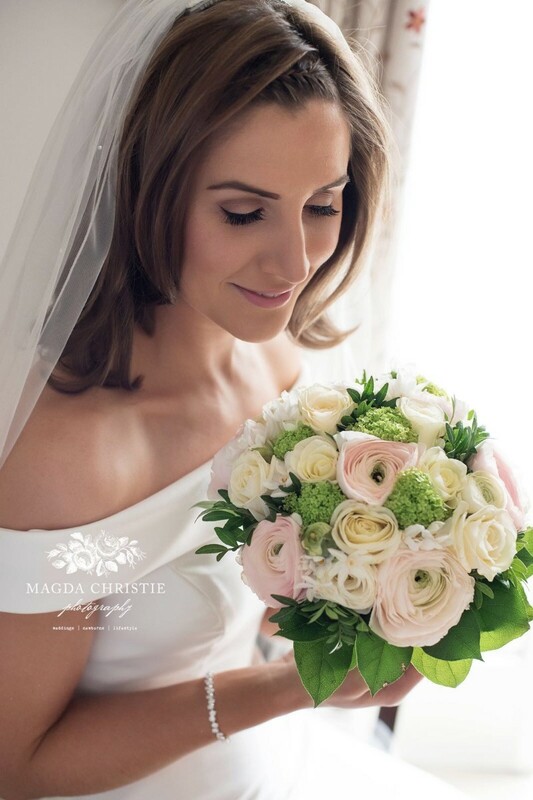 I knew from the moment I met her she was the perfect fit for my special day - she is not only professional and a lovely person, she is calm and relaxed, listens to your thoughts on what you normally do and what you would like for your day, and then perfects your look using her knowledge and skill. She was makeup artist for myself, my MOH, MOB & MOG and all of us were extremely happy with our makeup. Everyone commented on how fresh we looked and the makeup lasted all day AND night. I felt so pretty but still myself which was very important to me (and my groom!). She arrived on time and worked really efficiently, and in sync with my hairstylist who she hadn't met before. I was also in contact with her over emails from Australia and that was no bother to her; she answered every question and made sure to touch base wit me close to the day. I cannot recommend Anne Marie enough, don't hesitate to book her in! 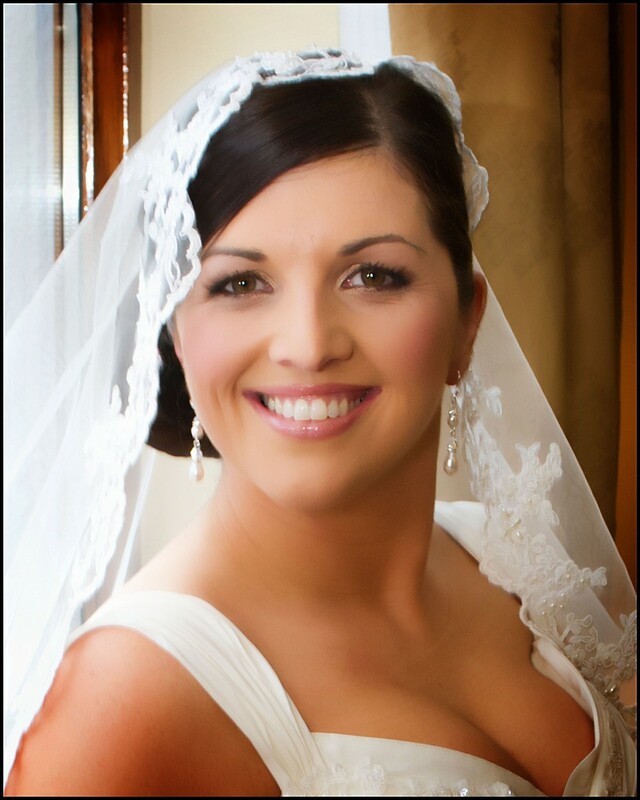 Anne Marie looked after making up 7 of us on my wedding morning and we were all delighted with the results. She's a lovely lady and was a superbly calm presence at my home on the morning - she arrived on time, gently took control and got us all looking beautiful with plenty of time. She was a joy to have with us. Don't hesitate to book Anne Marie. Anne Marie is absolutely fantastic I cannot recommend her highly enough. I was so happy with my make up, it did not budge all day and my husband said he had never seen me looking so youthful! Bonus! Anne Marie is just amazing, superb. I had full confidence in her abilities after she did some of my friends wedding. I would recommend a trial with her as we worked out exactly what suited me on the trial prior to the day so there were no worries. 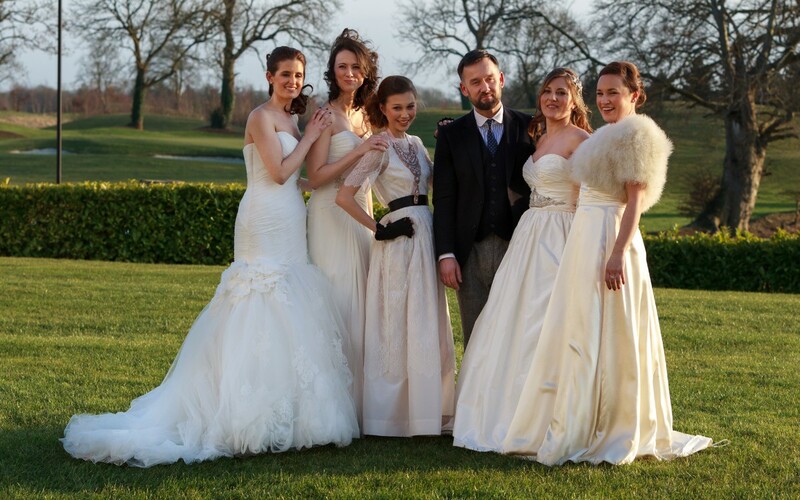 All the bridal party including my mum were delighted with her work and I always recommend her to friends. 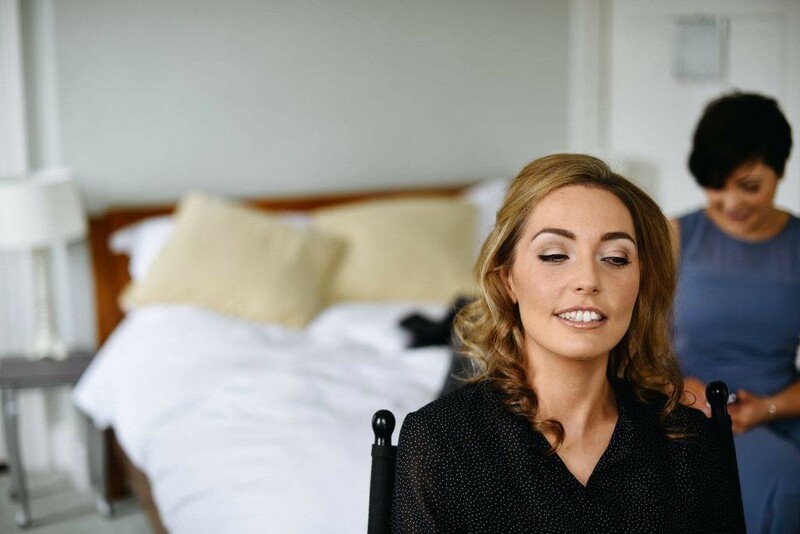 AnneMarie did the makeup for myself, my mam and three bridesmaids for my wedding in November and we were all absolutely delighted with the results. She had a huge range of products and took so much time to listen to us all to ensure we were happy! She was also so friendly and easy-going, a pleasure to have around on the morning of the wedding. The makeup lasted all day/night and looked fab in the photos,really natural! I wouldn't hesitate in recommending her to any bride! 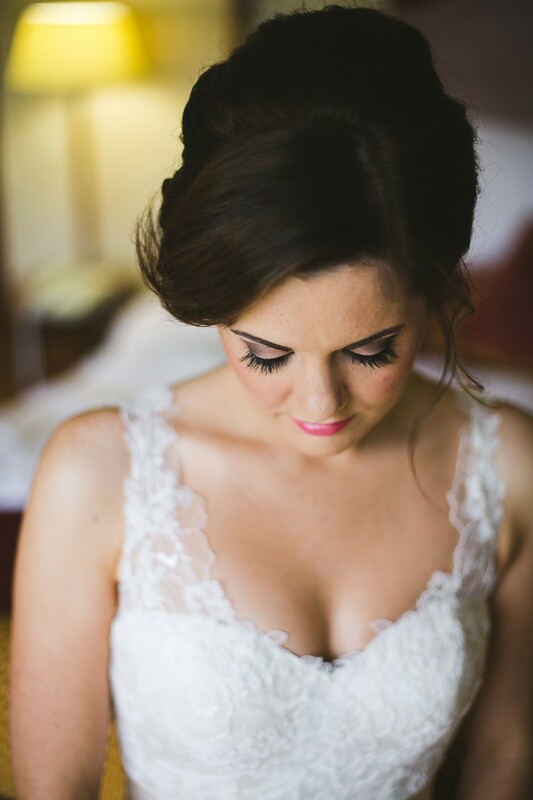 I would highly recommend Anne Marie to do your makeup on your big day. I fell in love with what she could do. She is so easy to get on with and was so helpful in giving me skin care tips to help take care of my skin on the run up to the wedding. She uses all the big brands. When I had my trial, she was so attentive to what I was looking for and it was so easy. I felt absolutely stunning on the big day. My make-up was so natural looking but could be seen (which is something I like) and absolutely flawless. It didn't even budge the whole day and that was one of the major things I was looking for. I received so many compliments on my makeup and so did my bridesmaids. Bearing in mind, there were six people getting their makeup done that morning and we all looked amazing. Oh and her wedding package was very reasonable compared to alot of other artists. Even my Maid of Honor has booked her for her wedding next year 2016! Anne Marie did my make up, my bridesmaids' make up and my mother's make up for my wedding in July. She was absolutely amazing. We loved the looks she created for us. Shes so professional and so good at what she does!! Anne Marie did the make up for my wedding a few weeks ago. She is fantastic at what she does and is so lovely to have around on the morning of the wedding. Following trials with other MUA that weren't quite what I wanted, I booked Anne Marie and from my first trial, she was a joy to deal with. Anne Marie did such an amazing job on all the bridal party- so calm and chatty all morning. My mum was a little nervous getting her make up done but Anne Marie listened to what she wanted and enhanced it- and she looked so fabulous. I loved the way my make up was applied and felt beautiful all day -the make up was still in place at 4.30am the next morning! I would highly recommend Anne Marie to all brides. 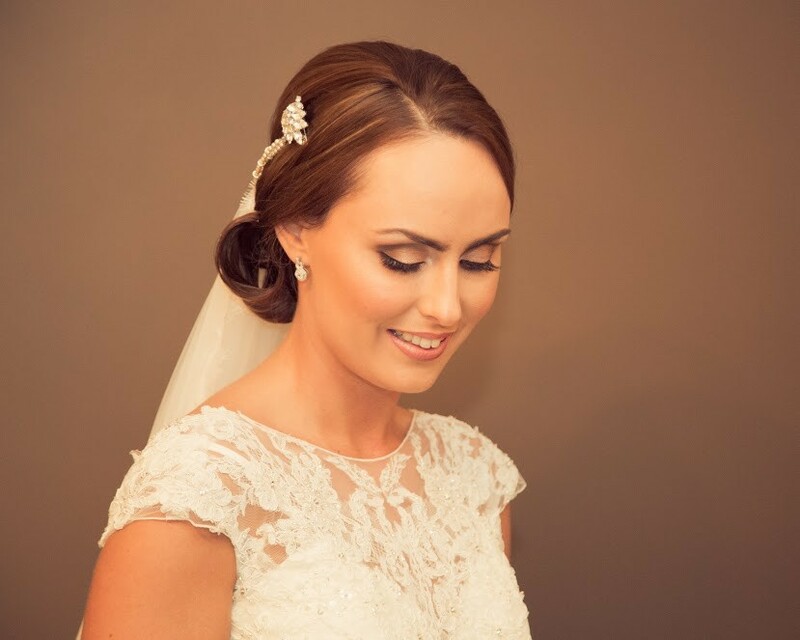 I booked Anne-Marie for my wedding make up after reading some great reviews. She was so friendly and nice to deal with from the get-go. On the day of the wedding Anne-Marie was really friendly to all of us and helped keep all the nerves at bay with her easy going and chatty nature. She had her hands full with 5 of us getting make up done but she had it all timed perfectly so we were never rushing. All of the the products she used are really good quality brands - Mac, Chanel, Armani etc. The makeup lasted all day and night - with the eye lashes lasting a few bonus days as well!! We were getting compliments from all the guests all day. 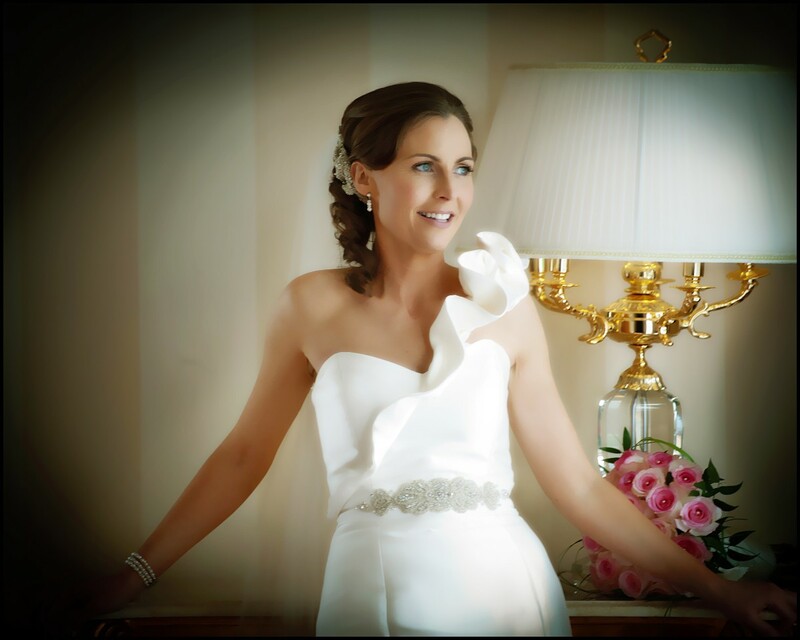 I would highly recommend Anne-Marie to any bride! I can’t recommend Anne Marie highly enough. 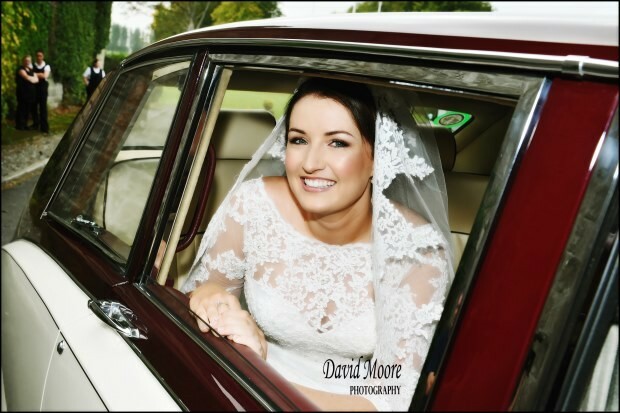 I booked Anne Marie for my wedding on 4 October 2013 after looking around for a make-up artist to travel to my venue in Meath. I was surprised at what some make-up artists were charging to travel to the venue and was delighted when Anne Marie confirmed she was available for my date at a very reasonable price. Anne Marie was really professional and responsive from the outset. Myself and my Mum had a trial at Anne Marie’s house, in her lovely little studio, and were delighted with the results. As my Mum doesn’t usually wear a lot of make-up I wanted to make sure she felt at ease on the day, and Anne Marie did exactly that. Anne Marie is a lovely person to have around on the morning of the wedding, making everyone feel at ease and making sure she gets everyone just right. Our make-up on the wedding day was perfect and lasted all day. Myself and my bridesmaid were told we have never looked better, which is exactly what you want to hear on your wedding day. 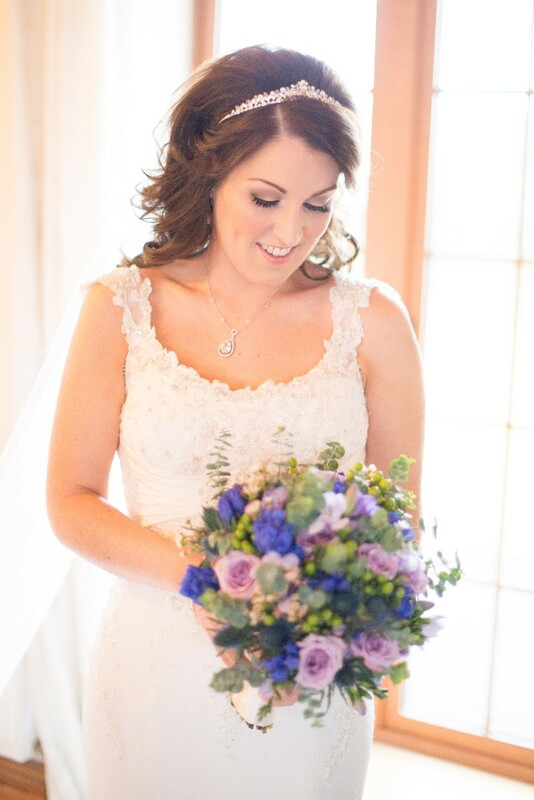 I cant thank Anne Marie enough for helping to make my wedding morning absolutely perfect. 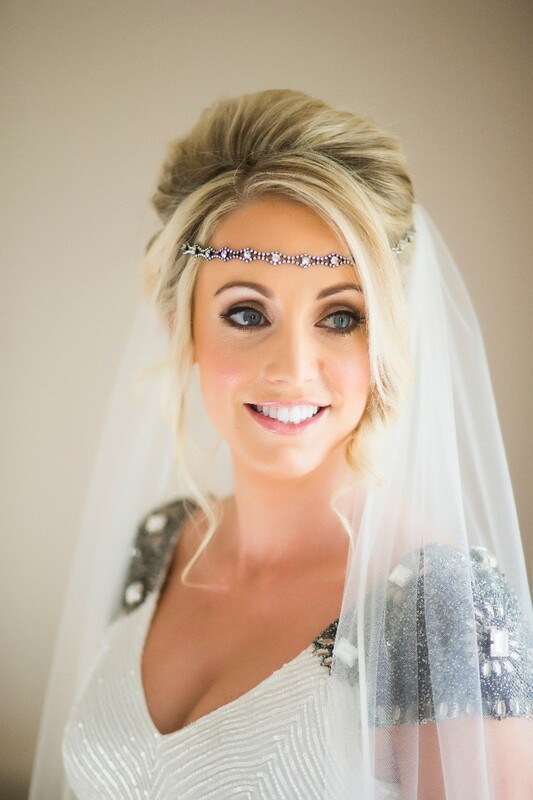 I booked Anne-Marie for my wedding make up after hearing great reviews from some friends. She was so nice to deal with from the beginning. I arranged my trial 8 weeks before the big day which was my 30th birthday, so I went out that night looking amazing. I was so happy with it and felt great out with my fiancé. On the day of the wedding Anne-Marie was ready and waiting as we arrived home from the hairdressers. We all felt so relaxed as she let us eat our breakfast before starting on the bridesmaids. As I sat down she helped keep my nerves at bay chatting away. All 3 bridesmaids looked amazing, my mam never looked better and I looked absolutely flawless. All the products used are top Quality and my mam finally found a foundation which she loves. Our makeup didn’t budge the entire day even after a few tears and a lot of kisses. We got so many compliments from our guests. I would highly recommend Anne-Marie to any bride in the future. 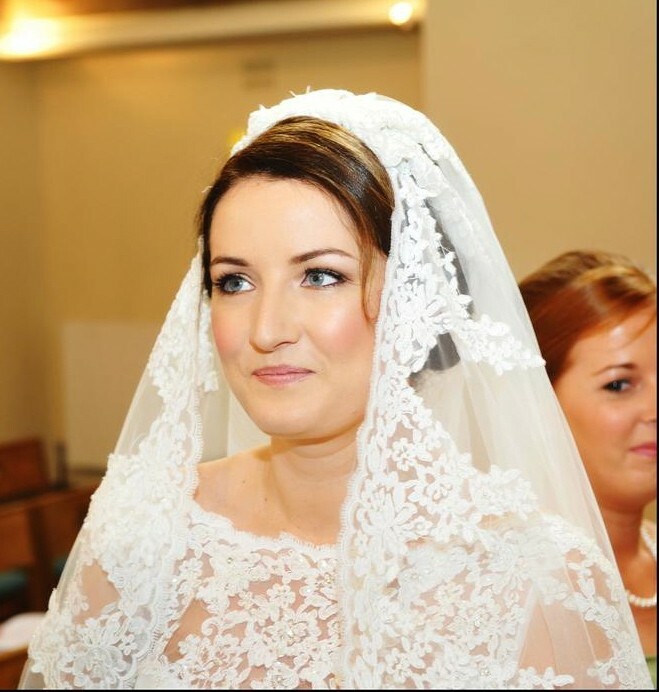 Anne Marie did the makeup for my wedding on the 2nd October 2013 and i have nothing but praise for her. From the moment she entered my parents house ,as well as being professional she put us all at ease and there was no awkwardness at all. All 3 bridesmaids loved their makeup and i felt like a princess by the end of our time. Anne Marie didnt rush or hurry us and we werent stressed for time. 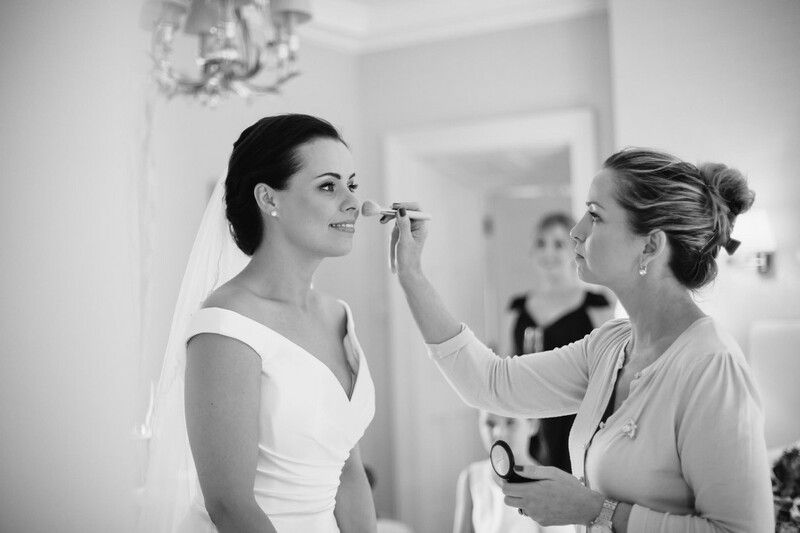 If you want a make up artist that will do a brilliant job and that you can have a little chat and a laugh with on your big day book Anne Marie you will not regret it. Anne Marie did the make-up for my sister's wedding June 2012. She came to the venue where the wedding was to be held, where we had stayed the night before. From the beginning, we felt totally pampered. The three of us, that is, the bride and two bridesmaid, were made up beautifully. All day, we were complimented on how young we looked and the make-up lasted all evening. couldn't recommend Anne Marie highly enough! She's a miracle worker!! 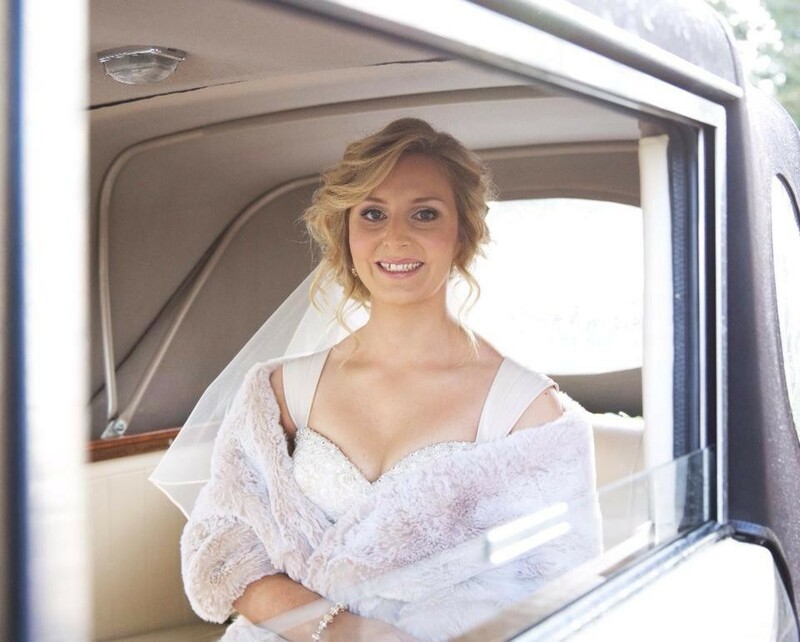 Hi AnneMarie,so sorry it has taken me so long to write this review.Just wanted to thank you for the fantastic job you did on my wedding day in October.When I look back on the photographs,my make up and the bridesmades and Mums looked fantastic!It was so relaxing that morning getting our make up done and it lasted the whole day and still looked good at 3am!! Thanks again AnneMarie - you are a first class beautician. 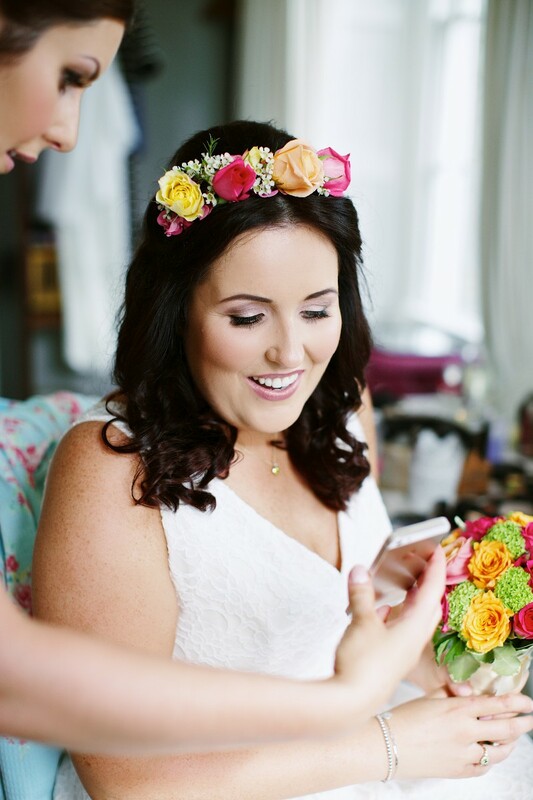 Anne Marie was the make up artist for my wedding in May and I would have no hesitation in recommending her to any bride to be. 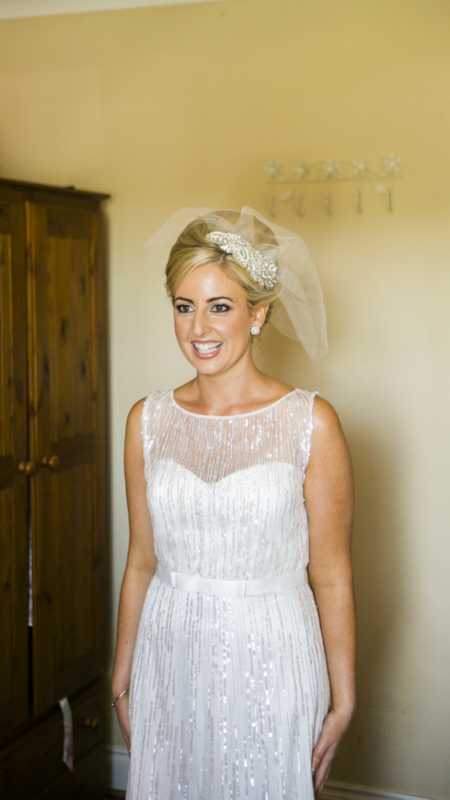 I didn't want the traditional bridal look so Anne Marie created one that was spot on - as she did for my two bridesmaids and my Mam. She was so friendly on the day and even helped us all to get into our dresses after the make up was finished. Her rates are also some of the best I found during my search for a make up artist and I will definitely be getting in touch to book a make up lesson in the coming months. I highly recommend Anne marie as a make up artist. She did a fantastic job on mine and my bridesmaids make up. She is so friendly and put us all at ease on the day! As a Wedding photographer a good make artist is a vitally important part on a hectic wedding day.When i walk into the brides house on the morning of her wedding day and see Anne Marie is there ahead of me doing the most natural make up, on time,no fuss and handing me a completely chilled out bridal party looking always fantastic i always think to myself, happy days!. On seeing so many make up horror stories(first hand) i could not leave her site without writting a testimonial on her behalf. 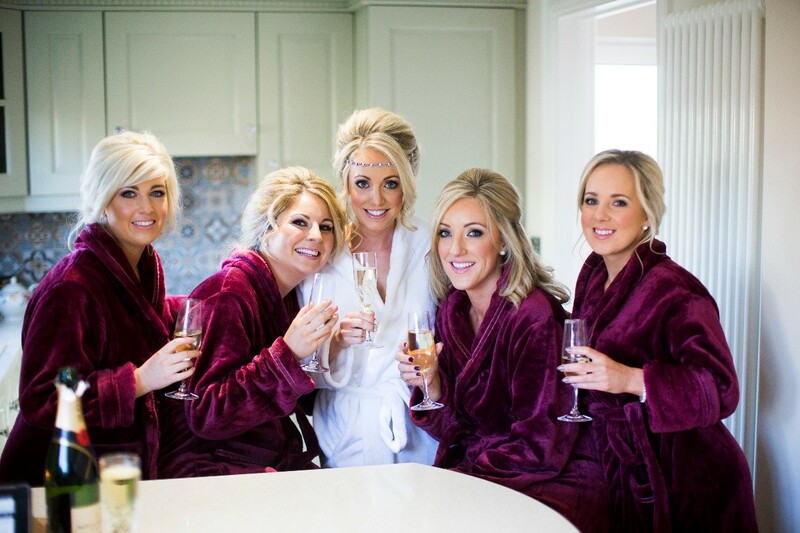 Myself and my bridesmaids had our make up done by Anne Marie in July and without a doubt it was the best any of us had ever looked, even when the pictures were still been taken at 3am the make up was perfect! 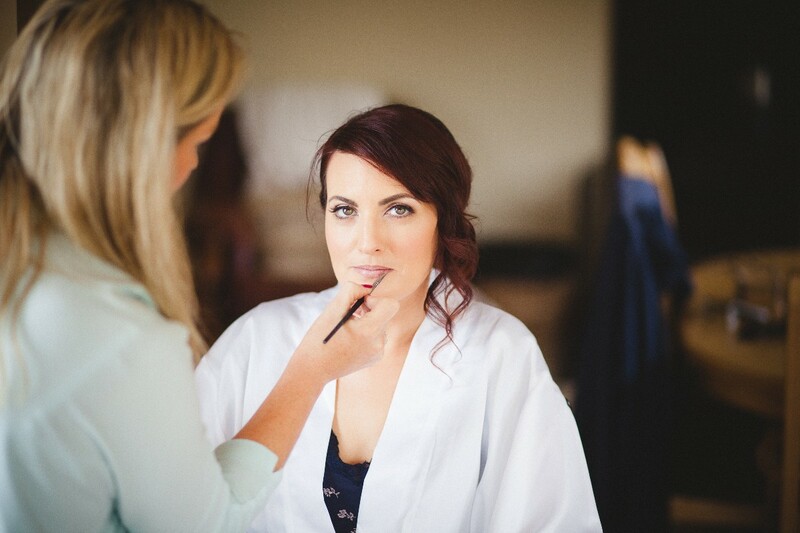 :) Some people are apprehensive about someone else doing their make up as they are so used to doing it themselves but Anne Marie made us look a prettier version of ourselves, putting everyone at ease and really finding out the look we wanted for ourselves. I really can't recommend Anne Marie highly enough and will be back for any occassions I have! 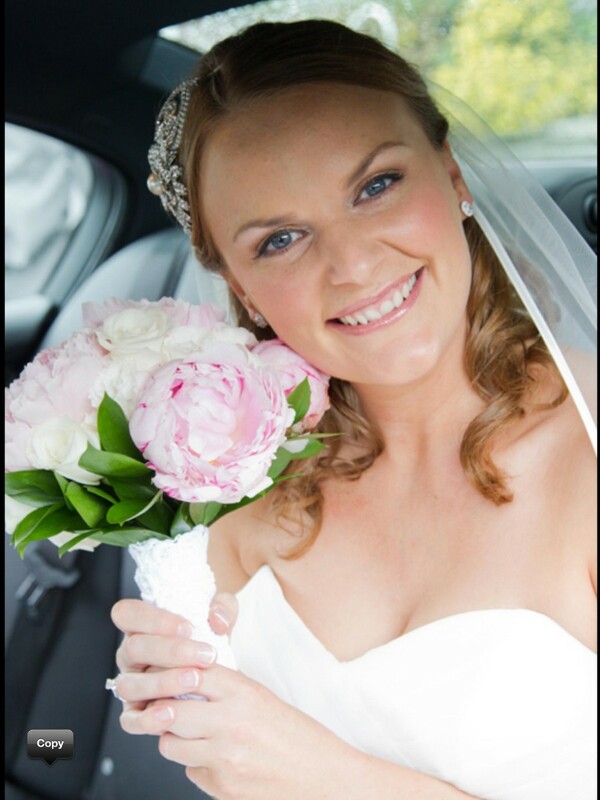 I was privileged to have Anne Marie as my Wedding Make Up artist in June and cannot rate her highly enough! Her passion for makeup is obvious and she is highly professional in her approach. Anne Marie is enthusiastic, highly organised and has a fantastic eye for detail and a great work ethic. She not only made my bridesmaids & I feel at ease, but she also made us look fantastic! She uses top quality, high end products, which last all day and night. I regularly use Anne Marie for special occasions and have no hesitation in recommending her to all my friends - she is abosultely fantastic! Anne Marie is a fantastic make up artist. She is very professional and I would highly recommend her. Anne Marie has done my make up for all occasions and I wouldn’t dream of going to anyone else as the results are spectacular. My make up lasts all day and all night and I always get complements on how good it looks. 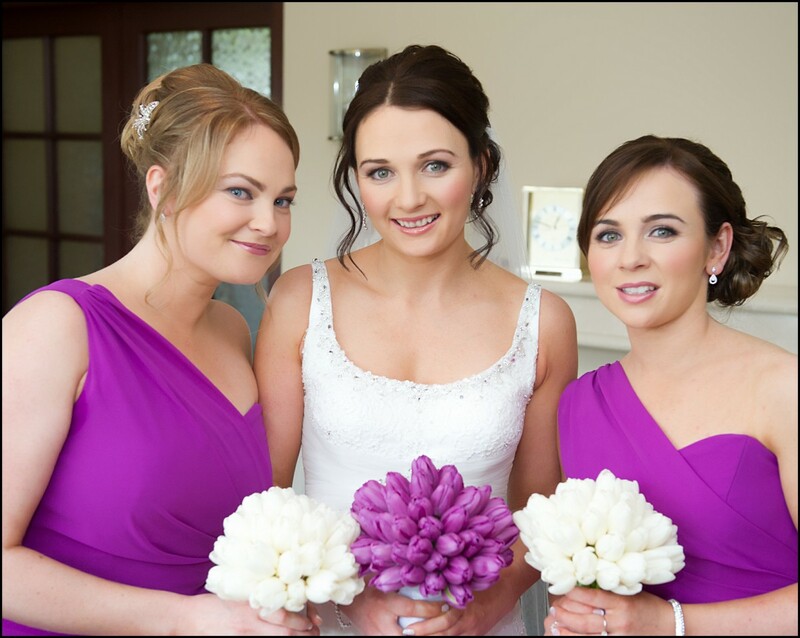 Anne Marie uses top quality products and the end result is always amazing no matter what the occasion. AnnMarie is a fantastic makeup artist, who I have gone to many times for her perfessional touch. 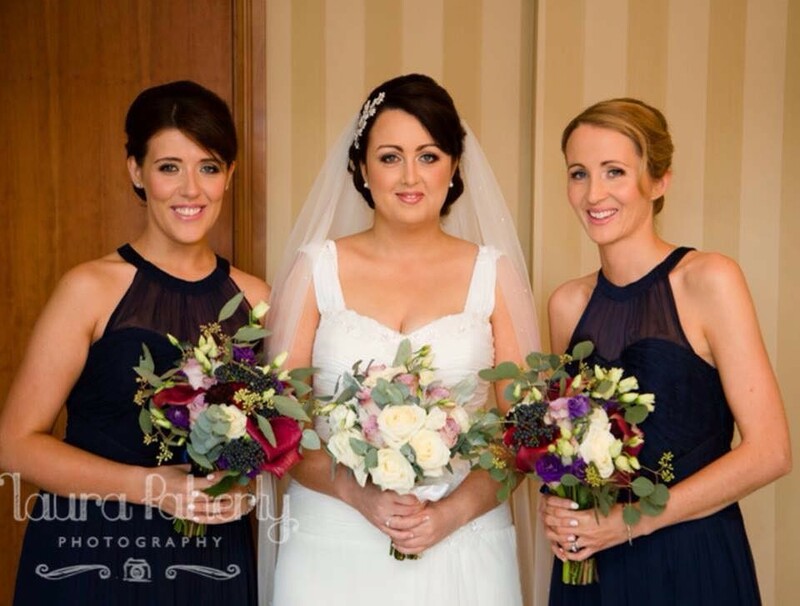 I chose AnnMarie as my makeup artist for my wedding as she had done a super job for my sisters big day. 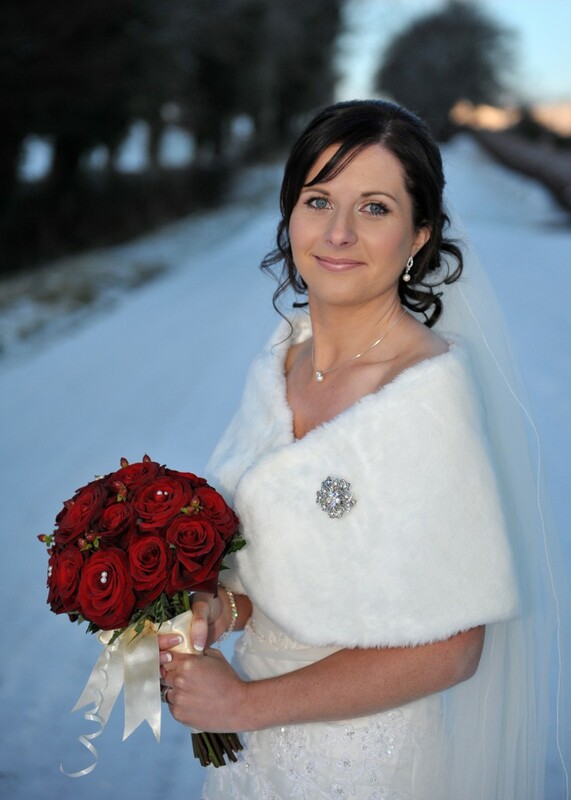 She is professional, friendly and very reliable (she travelled one very very icy roads for my wedding day last winter!). Highly recommendable professional. Anne marie has done my makeup on several occassions to a very professional standard giving me a fawless natural finish, She has done my bridal makeup and recently my 40th birthday makeup I would have no hesitation in recommending Anne marie for any of your occasional makeup she truely is a professional. I would highly recommend Ann-Maire. She did a fantastic job on all of us, so professional.I didn't have to even touch up my make-up on the day it was fab. She made all the girls relax and giggle before the big event. I would love to get her for every occasion. Just a note to say I couldn't have been happier with the makeup that Anne Marie did for me & my Bridal party on the big day. She just slotted right into the hustle and bustle of us getting ready and had some calming and reassuring words while dolling us up in the process. Genuinely was so happy and will definitely be recommending Anne Marie to all future brides. I would highly recommend Anne Marie. She is an amazing makeup artist and is very professional. I was delighted with the results on my wedding day as were my bridesmaids. She listens and creates the exact look that you ask for. She is also very good at giving you advice on applying and buying makeup. I have gone to Anne Marie many times since and i am always delighted with the results. Shes also a lovely person and makes you feel so comfortable. I would highly recommend Anne Marie. She has such a lovely warm manner that immediatly puts you at ease. She was so accommodating of my requirements and suggestions and I couldn't believe how beautiful she made me look and feel on my wedding day. 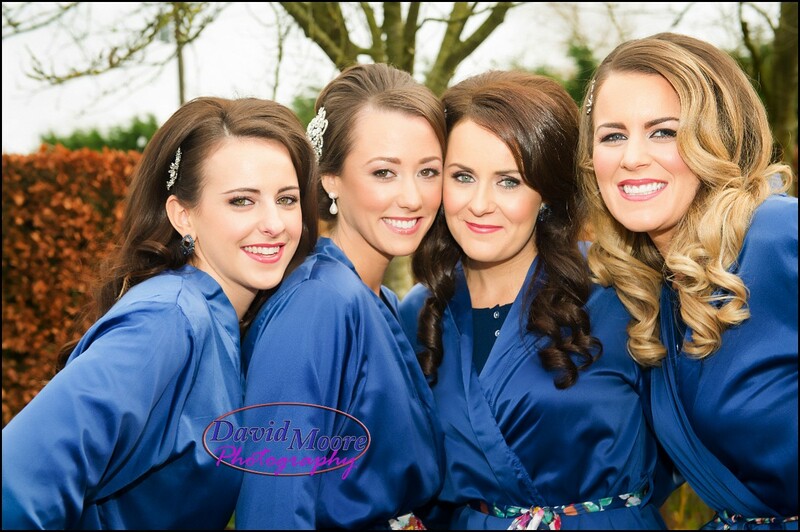 My bridemaids were also thrilled with the look she gave them and we were all very reluctant to wash off our makeup at the end of the night:-) Do not hesitate to contact Anne Marie, as she will make you look better than you ever thought possible.